Create slideshows, buttons, toggles, tabs, and columns with our free shortcodes plugin. Set your own logo, colors, custom CSS, and many other options to give your site a unique look. Hover effects and smooth filtering animations will make your portfolio projects look amazing. Embed videos from your favorite site: Vimeo, YouTube, etc. Full compatibility with the awesome Contact Form 7 plugin so you can quickly create a contact page. Take control of the typography by selecting your favorite Google fonts. 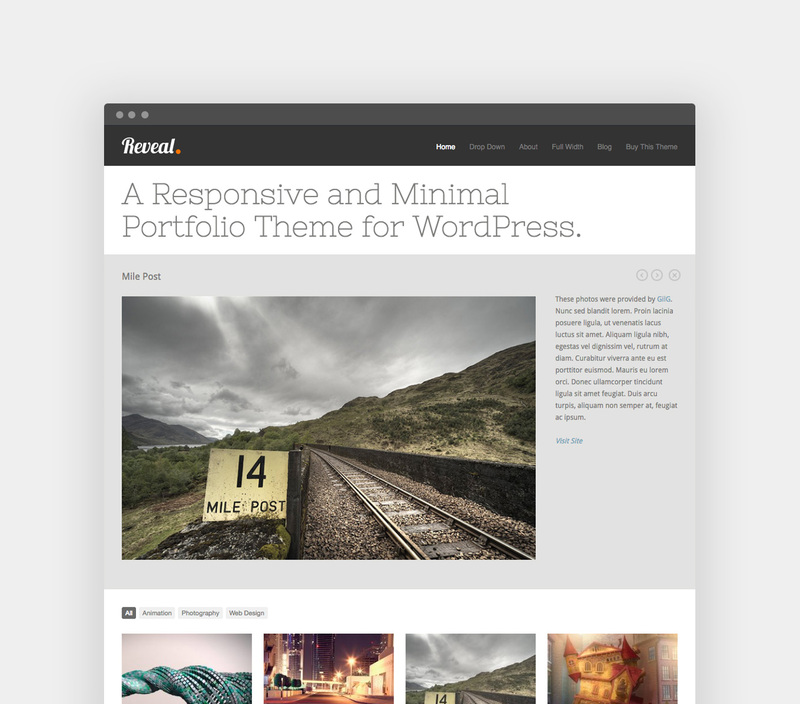 Start building your website with Reveal.